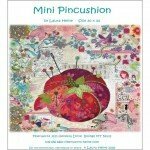 Mini Pincushion Collage Pattern by Laura Heine. This is a smaller version of Laura’s pattern “Pincushion”. 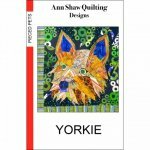 Full size pattern and complete color instructions included. 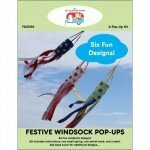 Windsock Pop Ups sewing pattern by the Fat Quarter Gypsy. Make a bright, cute and super fun windsock that looks great in your backyard or hanging from your camper awning. You'll be using 2-1/2in strips and a fat quarter. 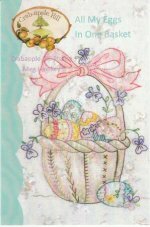 Pattern includes instructions, one small spring, one small swivel hook, and a label. From veteran author, teacher, and designer Becky Goldsmith comes this amazingly striking bullseye quilt with easy-to-use foundations. Though the result looks complicated, the quilt comes together simply and easily with Becky's simple, friendly instructions. 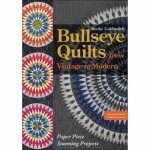 Make the stunning bullseye all on its own, add a border of flying geese, or make nine smaller bullseye blocks for an eye-catching quilt. 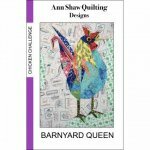 The paper piecing patterns include handy seam allowances so you waste less fabric! 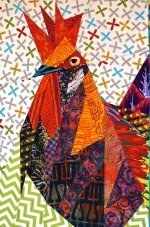 This Ruddy Rooster quilt pattern is part of Ann Shaw Quilting Chicken Challenge quilt pattern series. 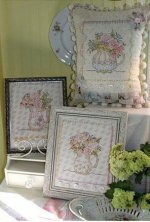 This is a traditionally pieced pattern that uses freezer paper templates. 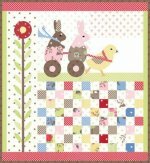 The unusual fabric selections make this pattern come to life! The finished size is 18" x 28" and features straight seam sewing making it easy to sew. 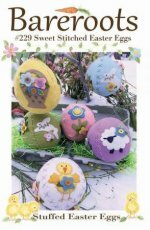 Included is the full sized pattern and step by step directions. Dragonflies are found throughout the world, and in some cultures symbolize power and poise. This Artisan dragonfly pattern features this insect’s beautiful iridescent wing colors. 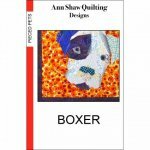 An Ann Shaw Quilting Artisan design, this pattern features detailed piecing for experienced quilters. You will need two rolls of the Katahdin pre-cut 2 1/2" strips of lightweight cotton batting. This is really the way to go instead of trying to cut your own. 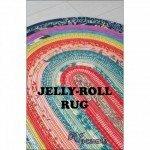 The cotton is so light and pliable that your rug will be easier to manage as you stitch. This ADORABLE self-lined cell phone clutch is great! It sews up so fast, and has pockets that magically appear. 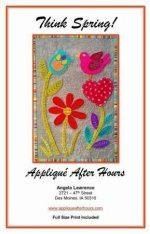 All straight sewing, great for beginners! Takes only minutes to make! Printed interfacing for 2 bags! Cut and sew on the lines! You’ll love it! Approximately 5in x 8in. 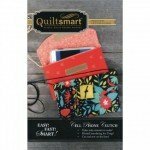 Pack includes (2) panels of Cell Phone Clutch fusible interfacing, cording, hook and loop tape and instructions. 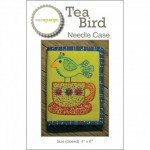 Tea Bird Needle Case is all about stitching, so skip the applique and get right to the fun stuff - embroidery and embellishment! Create this adorable textural bird using Eleganza Perle Cotton in a variety of weights. Finished Size: 9in x 13in. 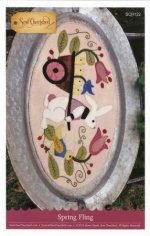 Small pieced cotton wall-hanging with wool applique.